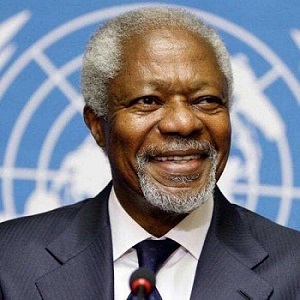 The following editorial on the passing of Kofi Annan—Ghanaian diplomat and seventh Secretary-General of the United Nations—is issued by the Vice-Chancellor of The University of the West Indies (The UWI), Professor Sir Hilary Beckles. The UWI-Mona congratulates Professor Matthew J. Smith of the Department of History and Archaeology, on being awarded a prestigious research Fellowship at the National Humanities Center in Research Triangle, North Carolina for the academic year 2018-2019. Professor Smith is one of 39 fellows chosen among 556 applicants from around the globe. Each Fellow will work on an individual research project and will have the opportunity to share ideas in seminars, lectures, and conferences at the Center. 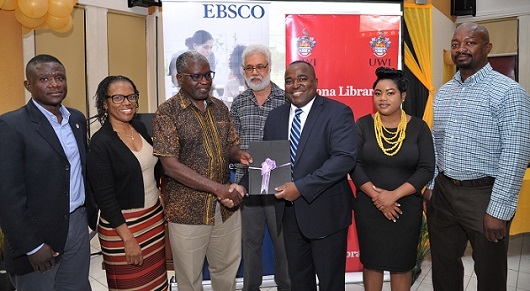 (L-R), Mr Stanley Smellie, of the Energy Management Unit, Mona School of Engineering; Dr Paulette Kerr, Campus Librarian, The UWI, Mona Library; Professor Ishenkumba Kahwa, Deputy Principal, The UWI, Mona; Professor Paul Reece, Dean, Faculty of Science and Technology, The UWI Mona; Mr Damien Satterthwaite, Regional Sales Manager, Caribbean EBSCO Information Services; Dr. Sasekea Harris, Head: Science & Engineering Branch Library (SEBL) and Adjunct Lecturer in Dept. of Library & Info. The following statement on the passing of Sir Vidiadhar Surajprasad (V.S.) 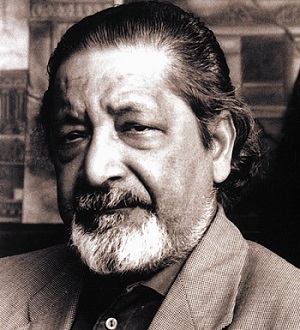 Naipaul is issued by the Vice-Chancellor of The University of the West Indies, Professor Sir Hilary Beckles. Seventeen influencers who have made outstanding contributions regionally and internationally within their respective fields will be awarded honorary degrees by The University of the West Indies (The UWI) in 2018. As is tradition, the honorary graduands represent a cross-section of eminent people in the arts, sciences and other fields. Their degrees which have been approved by the University Council, will be conferred at The UWI’s 2018 graduation ceremonies and presented by Chancellor Robert Bermudez. Effective August 1, 2018, Professor Stephan Gift is the new Pro Vice-Chancellor for Graduate Studies and Research, at The University of the West Indies (The UWI). Professor Gift’s appointment was approved at the June meeting of University Finance & General Purposes Committee. 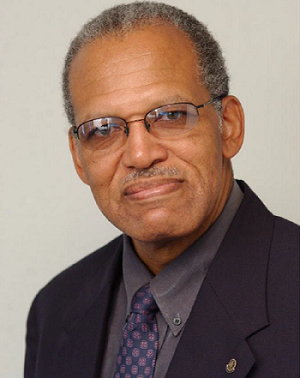 He succeeds Professor Dale Webber who has now taken up the portfolio of Campus Principal of The UWI Mona Campus. On August 1, 2018, The UWI, Mona Campus welcomes Professor Dale Webber as its new Campus Principal and Professor Ian Boxill as its Deputy Campus Principal. Professor Webber’s appointment was approved by Chancellor Robert Bermudez in April, on behalf of the University Council and Professor Boxill’s nomination for appointment was accepted at the University Finance and General Purposes Committee meeting in June. 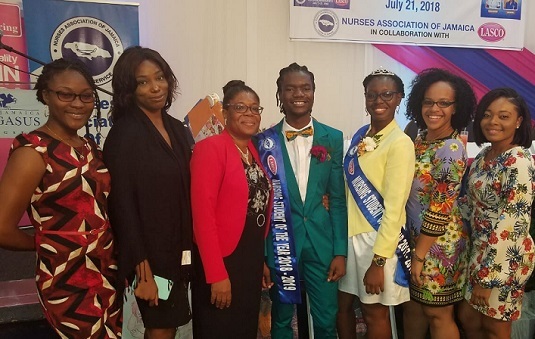 The UWI Mona-Western Jamaica Campus (WJC) is celebrating the LASCO/Nursing Association of Jamaica Nursing Student of the Year 2018-2019, and the UWISON being named Nursing School of the Year for the fourth consecutive year. Cementing its place as the Caribbean’s top University, The University of the West Indies (The UWI) made its debut in the Times Higher Education (THE) University Rankings as the only institution in the Caribbean region to be listed in its 2018 Latin America University Rankings, released on July 18, 2018.